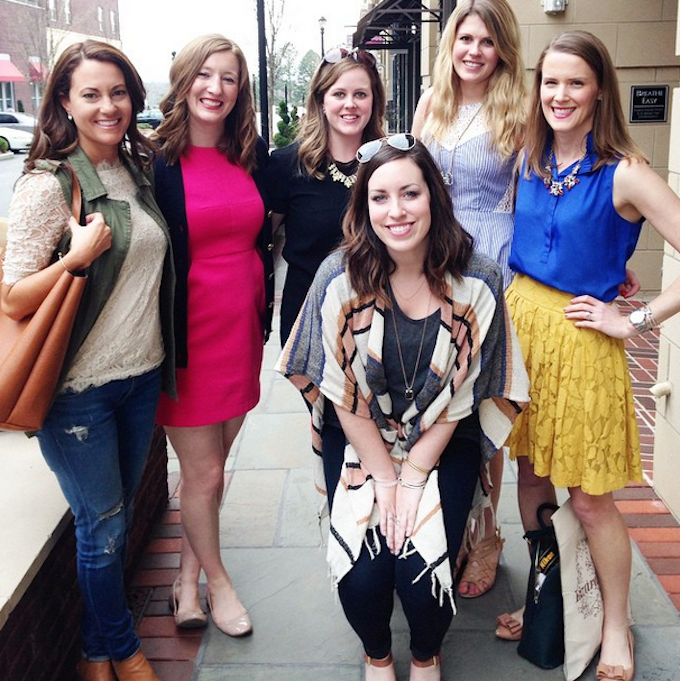 Last week I had a blast shopping with some of my favorite Atlanta bloggers at the Emory Point Shop and Stroll. 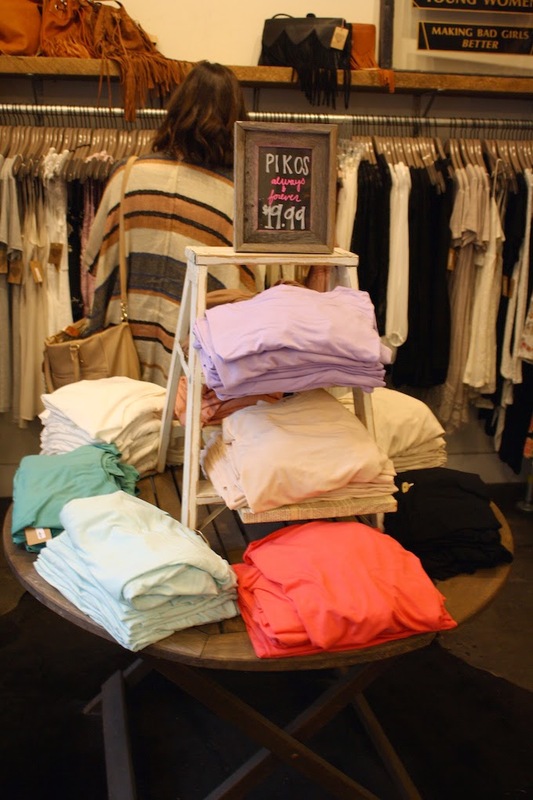 We traveled as a large group all over the shopping district making our way to the most fabulous boutiques along the way. Emory Point is a shopping district in Decatur near Emory that happens to be home to some of my favorite boutiques and restaurants. The complex is beautiful and feels more like a city block than a shopping center which makes it both lovely and welcoming. 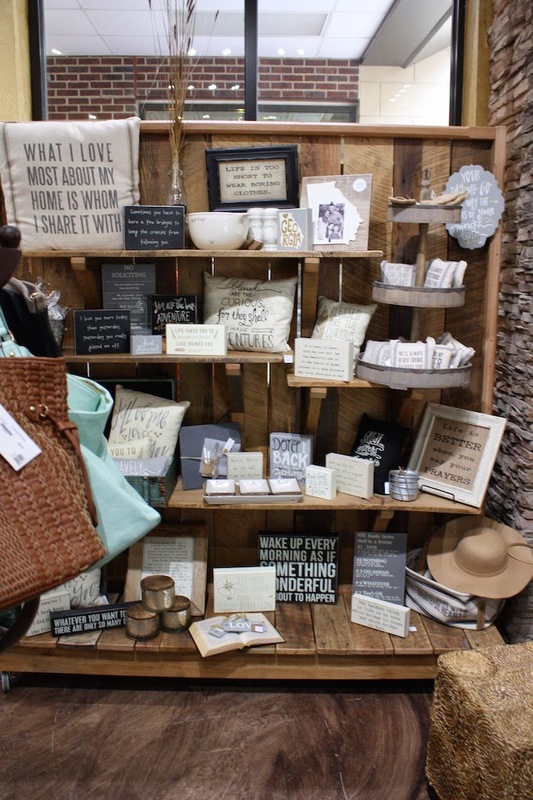 Our evening started at Lizard Thicket home to staples and trends alike along with some of the cutest home decor you ever did see. I also happened to pick up a summer staple sandal for less than $35! Those are coming to the blog soon, so keep your eyes peeled. 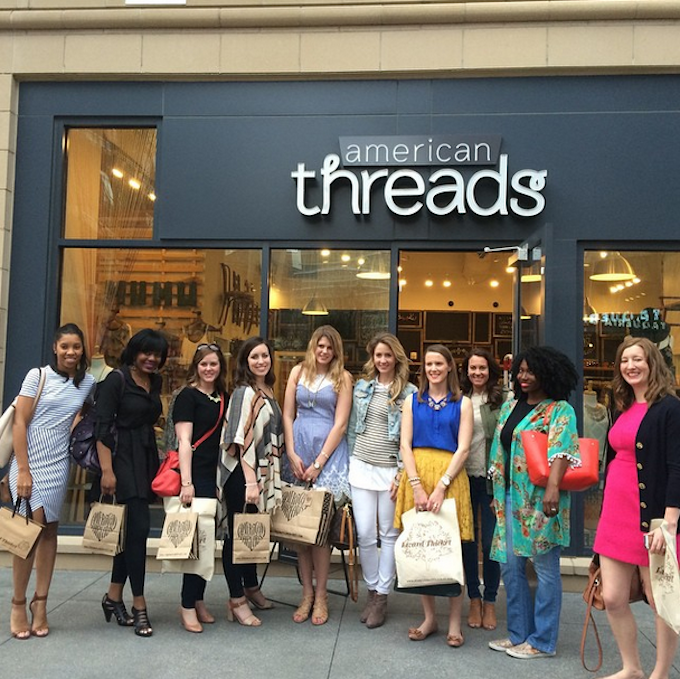 We meandered down the block to American Threads next. Last season I snagged a Piko top from here that became a winter go-to after Pure Barre, so I kept with the workout theme and purchased a You've Been Noted Atlanta tank. If it ain't broke don't fix it, right? Of course the crowd favorite was the Malvi Marshmallows...how gorgeous are the raspberry ones?! 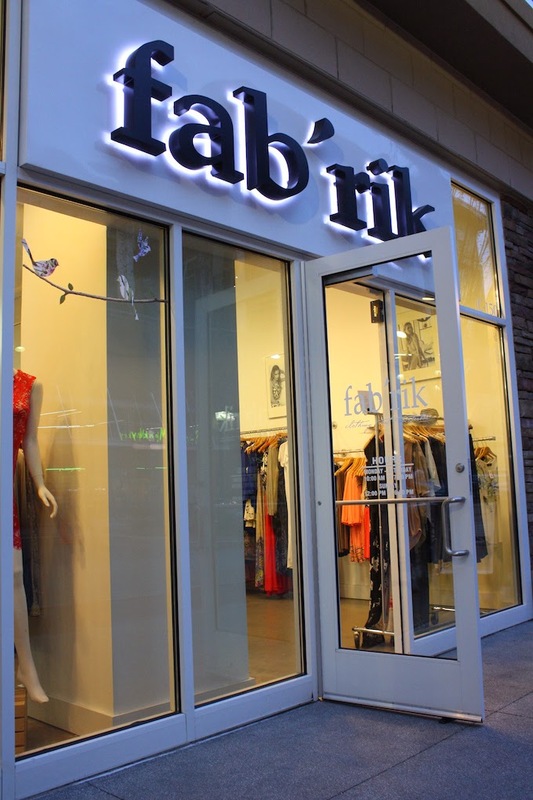 As the evening continued we ventured to Fab'rik, Loft, and Francesca's, and I continued purchasing along the way. Be on the lookout for this top and this necklace around these parts in the coming weeks. I can't wait to show you my completed Emory Point Shop and Stroll look; you won't want to miss it. If you're in Atlanta and haven't made your way to Emory Point yet, be sure to take advantage of the spring weather and head that way soon. Stop in these boutiques for the best shopping around and then mosey over to the General Muir for a burger. Sounds like a good day to me! Thanks to the Reynolds Group and Emory Point for inviting me to this event. It should be noted that I received $100 shopping spree for attending and to get my shop on, but thoughts, opinions, and purchases over the $100 threshold are totally my own. Loved shopping with you!! SO much fun. Can't wait to see how you style all of your fun looks.